Despite the general increase in online sales, recent research by Van Vault has highlighted that tradespeople still prefer more traditional methods of buying equipment. The brand’s research has provided an insight into the purchasing habits of its trade customers. 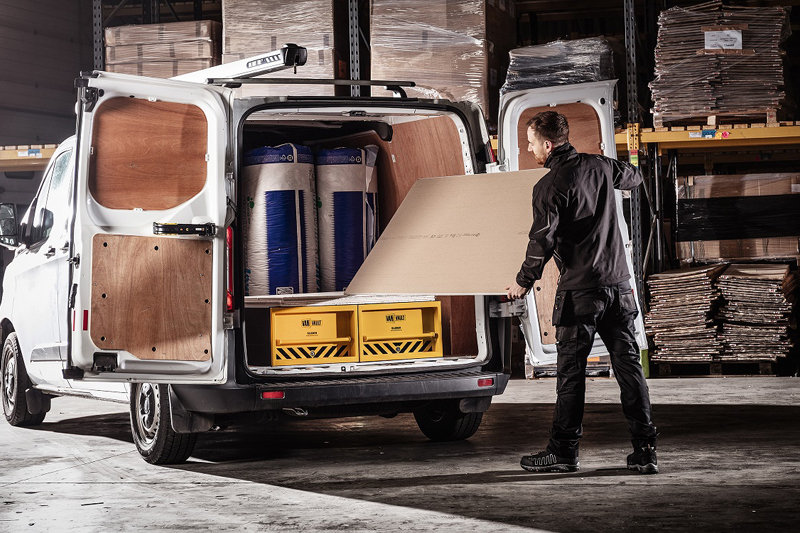 The survey – covering a number of trades, including builders, electricians, plumbers and carpenters – showed that when buying secure storage solutions for their van, the preferred choice is to purchase in-store. In recent years the overall value of internet retail sales has steadily increased. According to latest statistics (from the Office for National Statistics) online sales in February were up 9.4% year-on-year, currently running at 17.6%. Online sales have reached a value of £1.19bn. Despite this, the study commissioned by Van Vault (based on 300 interviews with tradespeople) revealed that merchants are going against the current retail grain, with stores being the first choice for tradespeople, rather than online. The survey revealed that 41% of participants prefer to buy secure storage solutions in-store from a local or specialist retailer, with 38% stating that they purchase goods from national brands. When it comes to buying secure storage – which is driven by a wide range of issues from replacement to theft, and from needing extra storage to getting a new van –tradespeople often do their research online before making a visit to store to purchase. The stats showed initial online research is done to look for product information, but visibility in-store is important as they want to actually see the product before purchasing. This is because it is easier to see the quality of manufacture as opposed to simply looking at a picture online. They are provided with a better understanding of the size of the product, storage capacity and the tools that it can hold, if they see it in-store.